5 Konings Accommodation in Paarl invites you to stay in one of our 4 stylishly decorated, en-suite rooms catering for your comfort and enjoyment. 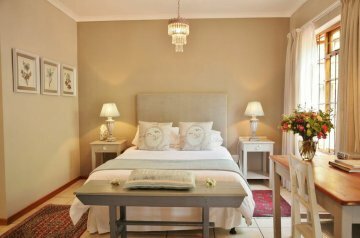 All the rooms are equipped with airconditioning, DSTV, flat screen televisions and bar fridges. Complementary wi-fi is available. 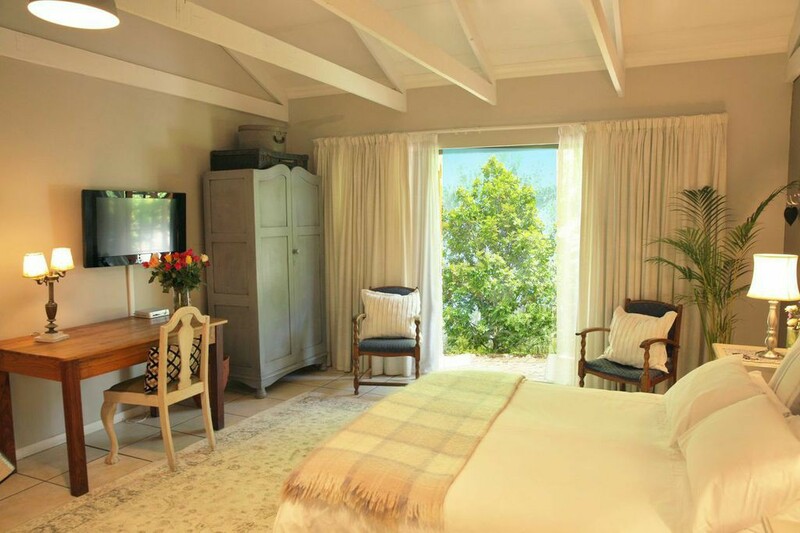 Coffee/tea and home made rusks available in each room. Each room has a private entrance. 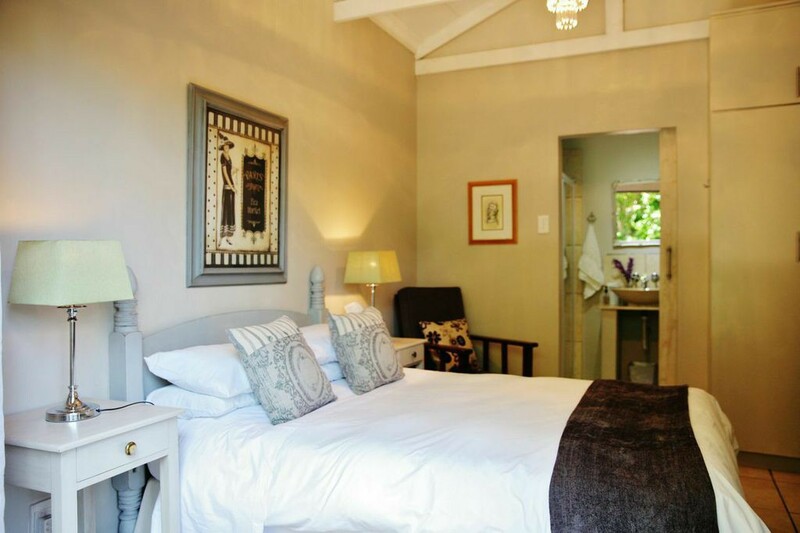 A new addition to 5 Konings is the Touch Self Catering Cottage, a spacious 2 bedroom en-suite cottage with lounge, full DSTV, enclosed braai room and fully equipped kitchen. 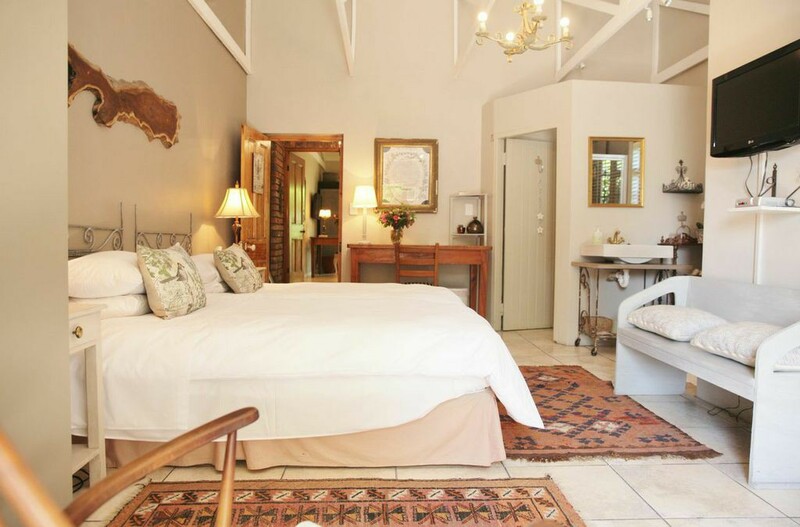 Kings Pride: This room is ideal for the King, who either travels alone or accompanied. 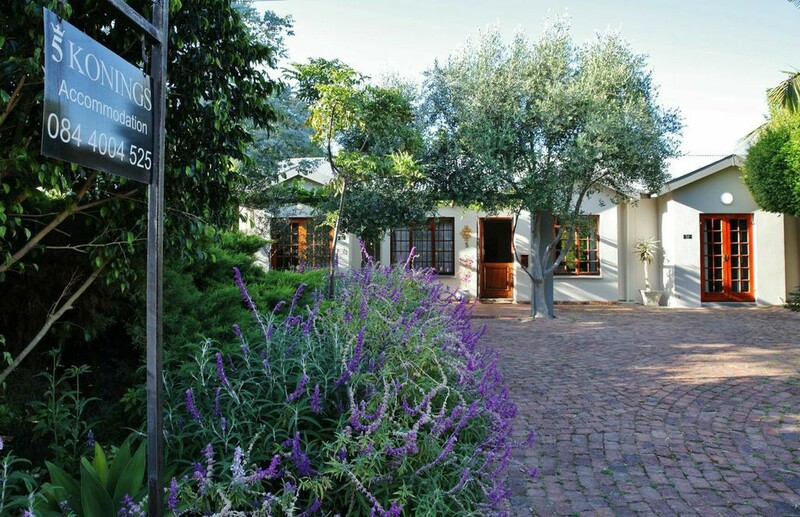 It has two separate beds and a small self-catering facility. The King’s coach is conveniently parked right at the entrance. Royal Salute: If ever there was a flagship, this is it! 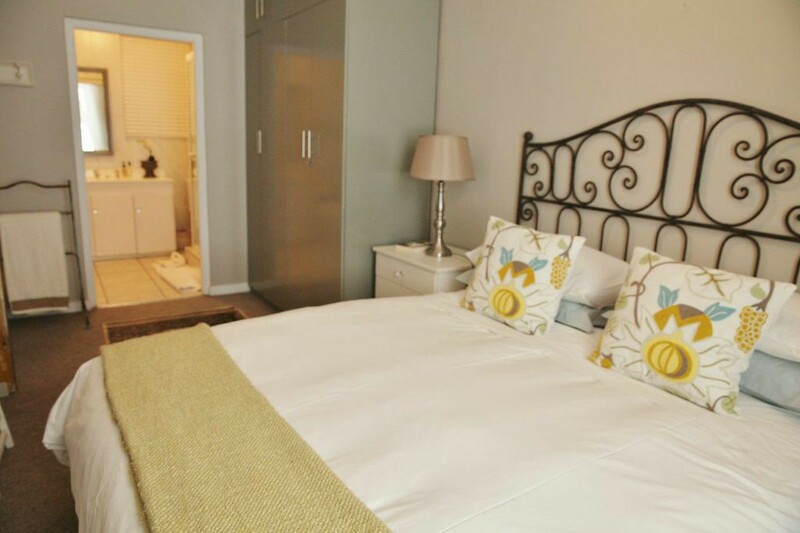 A spacious well proportioned room boasting full bathroom, with both bath and shower facilities. 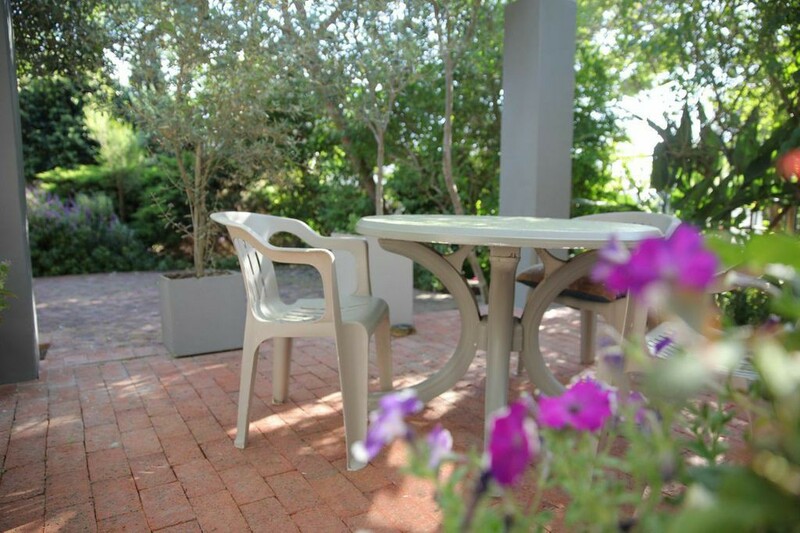 Garden Queen: As the name suggests, spacious and fit for a Queen! 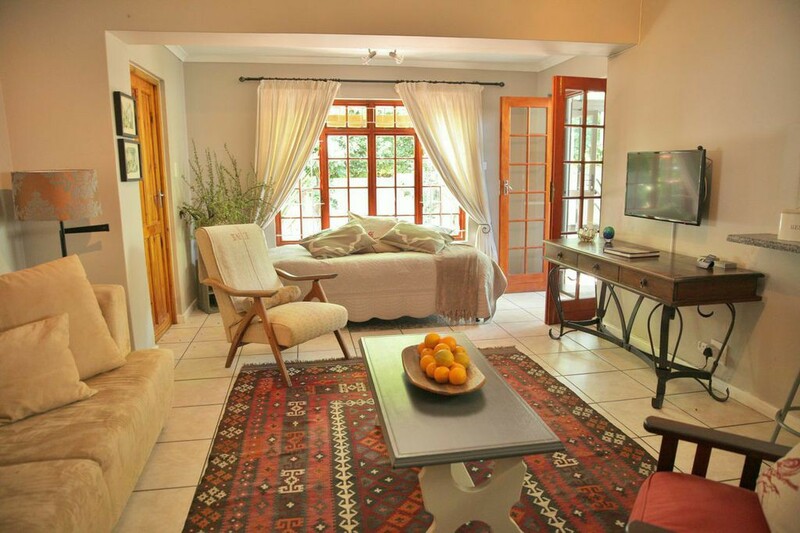 This room boasts double volume ceilings with doors leading onto the tranquil garden. Penny Royal: She is the lady in our pearl and although smaller, she has all the comforts to ensure your stay is comfortable. 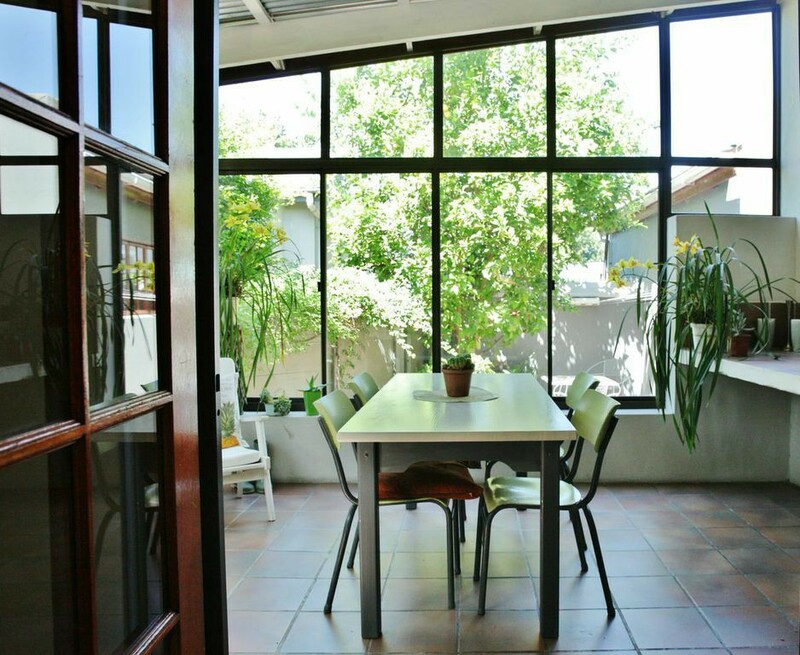 The double doors lead onto the garden. 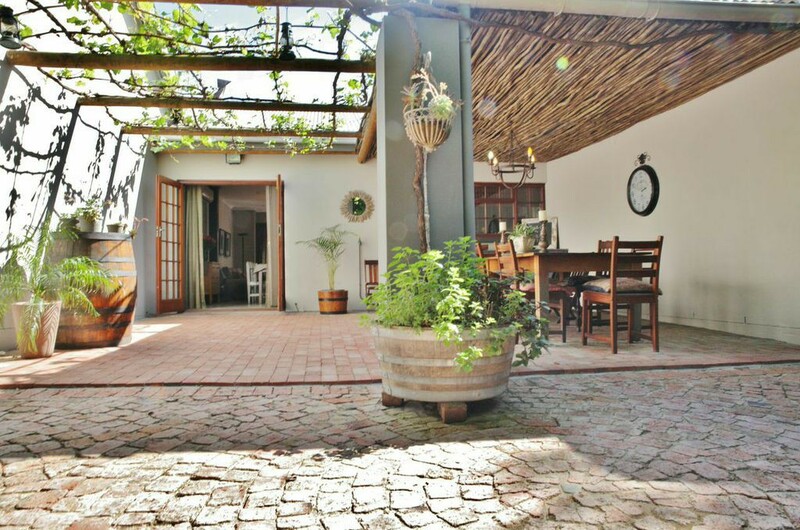 All our guests have access to a fully equipped kitchen as well as the large vine covered veranda, where either a cup of coffee/tea or a glass of wine can be enjoyed! !